Women who are in the first time of pregnancy are usually surprised even they have read books or researched on the internet. Even you regularly or never vaccinate flu, United States Centers for Disease Control and Prevention (CDC) recommends that women vaccinate flu before or during pregnancy. Pregnant women have risk of producing a severe side-effect by suffering flu compared to non-pregnant women. You can be vaccinated at any time during pregnancy because researchers have proved that flu vaccination is safe for pregnant women. 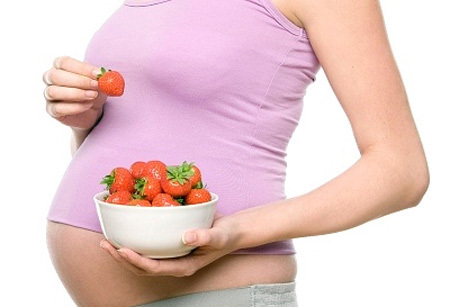 You are also able to be confused by advice on pregnant health from doctors or experienced mothers. CDC said that women could be pain at vaccinating point. In some cases, the mothers could feel sick, muscle pain, fever, and tired after injecting. Do not wait until you have already given birth to consult pediatric hospitals (or clinic). At that time, you will be tired because of not knowing where to go if your baby has health problem right after birth. That is the reason why you should search for pediatric hospitals (or clinics) while you are in pregnancy, or you could seek out them in the last three months of pregnancy. Conception of eating for both mothers and children is totally incorrect. That will make mothers gain weight too fast and create much harm to both mothers and children. For example, quick gain weight in pregnant women increases the risk of preeclampsia normally after the 20th week of pregnancy. To ensure nutrition for babies, mothers need to add more 300 calories each day. That means they can take more 2-3 suppers a day but diet should be diversified and accurate. If you have depression in pregnancy, you are not unique. According to a research which was conducted by National Center for Health Statistics (NCHS), there is up to 40% women having depression in many levels. Some of them have to take medicine in order to stable their emotion. If you lose control during pregnancy, the most significant thing is you need to go and see doctors. You must not take any drugs.